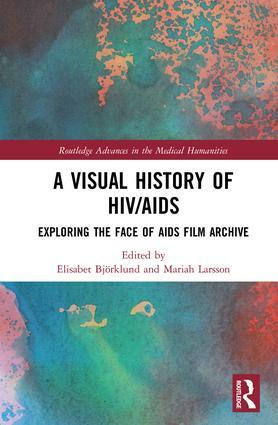 Now available: This new book, "A Visual History of HIV/AIDS: Exploring The Face of AIDS Film Archive"", examines the archive, analyzes particular films, and discusses the film maker as activist and auteur. The total stock of the online archive amounts to some 700 hours of filmed material from all over the world divided in about 2000 videos. This is the story about Steve Sjöquist - writer, HIV activist and deacon at Karolinska Universitetssjukhuset in Stockholm. Steve was diagnosed with HIV in 1987 and he was one of the first Swedish AIDS patients to get the new antiretroviral therapy in 1996. It saved his life. Staffan Hildebrand returns to Australia, where he started his project of documenting the AIDS epidemic in 1988, and to Cambodia where he first arrived in 1998. He interviews some of the scientists and activists who he met back then and displays some footage from the archive. Living with HIV in Sweden is the first extensive study in Sweden where quality of life has been studied among people living with HIV. In total, 1096 individuals responded to an anonymous survey that included different aspects of self-rated quality of life. The survey was available in 10 different languages. The study was performed at 15 healthcare units for infectious diseases in Sweden – that account for 75% of the HIV care in the country – and at two needle and syringe exchange clinics in Stockholm. Interviews with young HIV and AIDS activists from Cambodia, Mexico, Sweden, South Africa, and the United States, on youth, HIV and AIDS. Staffan Hildebrand looks back on his 25 years of documenting the HIV and AIDS epidemic for the Face of AIDS Film Archive. The film portrays a shift from pessimism towards a growing optimism in the response to HIV and AIDS. This is a documentary about community networks in Southern Africa focusing on educating people about HIV prevention and providing support and care for people living with HIV and AIDS. This is the story of four women living with HIV, who are active in the work against HIV/AIDS in Indonesia, Bolivia, Kenya and Sweden. They tell about their lives and their work with health education, advocacy, and support of women and children. The American actress Sharon Stone talks about her memories of Rock Hudson who died of AIDS in 1985. She reflects on the time of the AIDS outbreak and the fear and ignorance surrounding the disease in the 1980's. This film tells the US story of the AIDS epidemic starting in the early 1980's. Scientists and activists, both pioneers and youths of today, talk about research, prevention, treatment and care. They also discuss stigma, homophobia and poverty as closely related to HIV and AIDS. This film is about the global AIDS situation. The film starts in Europe and the United States and ends up in Zimbabwe and Uganda. It tells about the global disparities of drug access, but also about the successful HIV and AIDS responses of Thailand, Cambodia and Uganda.